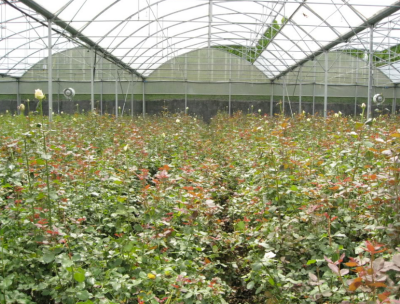 Who are the Floral dealers in Uganda;Flower companies in Uganda? Where can I buy flowers in Uganda? It is believed that more than 270,000 flower species exist in the Twenty first Century; although many basic questions have not yet been answered about these wonders of beauty. What caused their remarkable diversity? Are there existing flowers that since time began have never changed much? In the ancient days, flowers exemplify beauty, perfection and pleasure of nature. They were exchanged between different rulers as a symbol of good will. Additionally, they were believed to have mystical power that cured curses and diseases. The initial plant fossils to be discovered were the woody magnolia resembling plants ninety three million years back. Flowers give pleasure to everybody, regardless of whether you’re rich or even poor, old or young; they make the world look more pleasant and a happier place to stay. Not only are these wonders of nature decorated at galas or during ceremonies, many people have gone ahead to use them in their homes and even in offices. Mother Nature offered us these wonderful flowers that are always available all year through regardless of the season to always remind us of the true beauty of nature, and enable us appreciate the emotional charms that they revive in our lives. Below are some of the uses of flowers in our lives. Many use flowers for decoration and to append a nice scent into their environment. Others use them as a center piece at dinner tables or at entrance-ways. Additionally, some use them as spices while cooking. To some, flowers can be used as medicine to cure several diseases. When properly dried upside down, flowers can be used as potpourri. Furthermore, some use flowers when producing wines. What is the market price for flowers in Uganda? Some flowers however are short lived while others are long lasting. Today’s market price for a bouquet of flowers depends on the type of flowers used and the size and design of the bouquet. Different flowers have different mysterious sensations, and thrilling moods they create. This article will briefly outline the meaning associated with some popular flower species. Rose. This is the most liked flower as it symbolizes romance and is even edible. Commonly used during happy celebrations and each color stands for something. 3. Tulip. This flower signifies perfect lover fame and charity. Red tulip particularly shows undying love for someone. 4. Orchids. The Orchids is a renowned flower that symbolizes love, refinement and beauty. Particularly in China, the flower symbolizes children. They specifically spice-up any floral arrangement. 5. Sunflower. This flower symbolizes wishes and loyalty and is commonly found in people’s flower gardens as it attracts bees and butterflies because of its big sized flower. Additionally, cooking oil can be made from its seeds. 6. Carnations. The Carnation flowers generally symbolize affection, strength and health, although different colors stand for something else. In addition to being edible, they were used in the seventeenth century to produce French Liquor. it is very good and nice info.thanks. Thanks for the info en I think I can find seeds coz it’s Wat I want flower seeds pliz let me knw if it’s possible thanks Soo much.